We had a few requests for more detail on using the Betfair Multiples, so today we have a long and detailed article from Clive Keeling of What Really Wins money. On the tips front our Chase Specialist will be updating us at 12.30 and if there is a selection it will appear here. We also have a selection from Value Backing Extra which is in great form at the moment. You can get that below. Multiply your returns with multiples. I want to talk to you about a new kind of accumulator, found at www.betfair.com. It’s called Betfair Multiples. Normally accumulator bets are the preserve of the needy and the greedy. You back all of your fancied teams, and hope they all win. If one fails you, tough, you lose. But with Betfair Multiples, we can now back and lay teams in an accumulator. Imagine that! In a 3 horse race ( home win, draw, away win) you can effectively back 2 of the outcomes in an accumulator. Go to www.betfair.com, go to SPORTS and in the sub menu, click on multiples. The coupon we are interested in is arrowed above. The key to success I feel with Betfair Multiples is to include as many lay bets as possible with a sprinkle of back bets . A multiple is made up of 8 selections. I would limit to 2 back selections and ideally 6 lay selections. The 2 back selections must win and consequently are likely to be short priced ( and you will of course have done your research – I don’t need to remind you do I ?) and the lays will normally be of teams who are preferably away from home against odds on opponents. In all of these lay bets we will be covering the draw. We therefore have 2 back bets and effectively 6 back bets covering 2 of 3 options in the match odds coupon. So you’ve researched. Now we approach the coupon. Change the arrowed to All Events ( by Start Date). Here I will engineer a Multiple ( note I have not done the research, it is just for show purposes). Having made your 8 selections ( of course another tip is that we should not be bullied into making 8 selections! I am going to back this Multiple meaning I want to back selections below to win, and the lay selections to lose . Put in your stake, then press View Odds. So I’ve backed USA and Celtic and layed 6 other teams ( covering their opponents and the draw). The possible return is 2.48 which is nearly 6/4 which I’m happy with. As the season progresses you’ll find there are teams which standout to back and lay. USA are likely to win at 1.11 odds, why not try to bump up their odds with a judiciously placed multiple? Here’s an old article I wrote on insuring accas. It is still relevant and gets the point across perfectly. Those with extremely good memories may recall reading it in a previous eletter, but rather than reinvent the wheel, I’ll reproduce it below. Note it also mentions laying in the halftime/fulltime markets as part of Multiples. Here’s an idea on how we can construct an accumulator which has an outstanding chance of success because it incorporates laying as well as backing. Let me show you what I did last weekend. In this multiple I like laying teams in the Halftime/Fulltime market as well as choosing at least one team to back , the “ banker” if you will. Laying a team to lose at halftime/fulltime gives us “2 bites at the cherry”. If the team is not leading at halftime, we win! If the team is leading at halftime, but does not win the match after 90 minutes, we win! In the above example, I opposed Newcastle, Wolves, West Brom, Sunderland , Stoke and Fulham, and backed Manchester City to win in the conventional 90 minute market. Effectively, this bet bumped up the odds of the Manchester City bet to over evens. Well, we know how that fared! And here’s another advantage of betting in multiples on Betfair. Let’s look at how the multiple is getting on at half time. My halftime fulltime lays are already successful with Newcastle losing at halftime, as well as Stoke, Sunderland, Wolves, West Brom and Fulham. Manchester City have a 1-0 lead over QPR. And those watching the match know how City have been struggling. Manchester City are leading 1-0. I want to create a break even should they relinquish the lead ( after all QPR ideally need a draw). Here I have layed Manchester City to win £174. Now this does not wholly cover my stake on the multiple, but I’m happy to take a marginal loss . If Man City win, I will win my multiple, at odds of 2.14 but lose my £14 “insurance” bet. And thank you to Aguero for getting the goal that ensured I won the multiple! This gives us an outstanding opportunity to profit, as long as our banker wins. 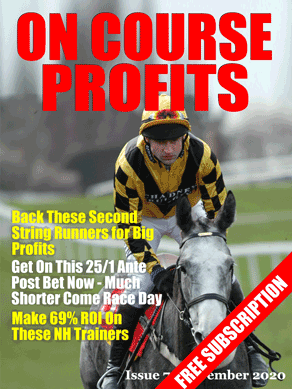 And here’s how to lay a multiple, with a neat idea which profited well last season. Look in the Betfair Multiple Coupon for 1 1.3 shot ( or thereabouts ) and 2 1.5 shots ( approximates will do). Having selected your 1.3 shot, and 2 1.5 shots ( preferably playing at home), we now look to oppose this treble, meaning that if only one of these 3 teams fails to win, we win because we opposed ( layed) the multiple. Ensure that you have chosen the Lay Multiple Option instead of the Back Multiple option. Then click on View Odds to check the odds. Liability is the issue here , as with all type of laying. As the odds are a little too big, the odds for the treble are 4.16 and the potential liability for a £100 lay is £316. Normally odds will be around 2.8 which is more manageable. Why not try laying accumulators instead of backing? Experiment with the above treble idea if you want, or look to lay any accumulator you were thinking of backing? Accumulators are the bread and butter of the bookies – they love them as , in their traditional back only format, they lose a lot. Now you can lay a multiple for short priced favourites in a given weekend if you think one has a chance of not winning. As this season comes to life, there may be opportunities to make an accumulator out of all of the superior teams in given European Leagues. Here’s an illustration. In the Premier League, Man City and Man Utd will win the majority of their matches. In Scotland , it should be a cake walk for Celtic and Rangers ( now the latter are in a lower league. ) In Holland, Ajax, PSV and Twente are the usual triumvirate, although AZ Alkmaar were showing form and Ajax were not their usual trustworthy selves. In Greece, we have Panathanaikos and Olympiakos. In Germany, Bayern Munich and B. Dortmund are likely to win the majority of their matches. In Turkey, Galatasary were returning to something like the dominance of the past and Fenerbahce were solid. In Portugal, Porto held sway with Benfica close on their tails. These teams are likely to win their matches week in and week out, and especially at home against other than their stronger league opponents. Why not put them all in an accumulator once a week. It should come up on occasion. The new football season , and especially Saturday and Sunday Football, will provide excellent opportunities for a creatively crafted Betfair Multiple. You only get 8 legs in their multiples, maximum, so choose from the cream! www.whatreallywinsmoney.co.uk will feature interesting multiples when the opportunities arise so make sure you keep an eye on the website. And a further expansion on the Multiple idea can be found with the accompanying video. So, remember that when you look to accumulators this season, look to lay as well as back and you’ll increase your strike rate considerably.